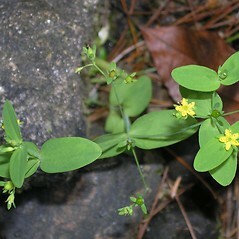 As in other St. John's-worts (Hypericum), the foliage of dwarf St. John's-wort contains the compound hypericin, which produces a photosensitive reaction to sunlight in light-skinned individuals. 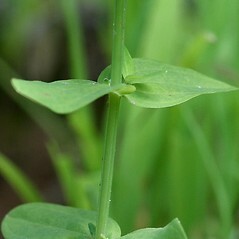 bracts of inflorescence leaf-like and sepals shorter than the capsule (vs. H. mutilum, with bracts of inflorescence tiny, not resembling the leaves and sepals approximately as long as the capsule). capsule pointed at apex and sepals broadest below the middle (vs. H. mutilum, with the capsule rounded at apex and sepals broadest near middle). 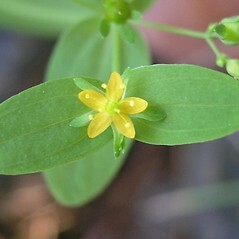 Hypericum mutilum var. 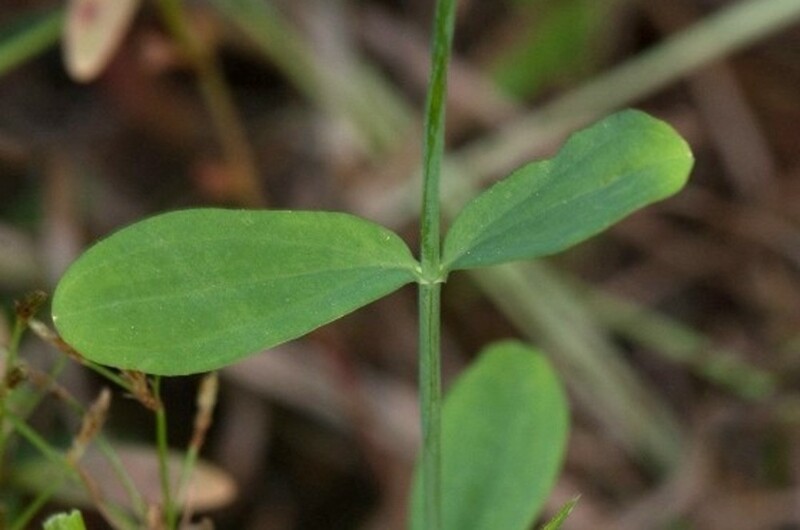 parviflorum (Willd.) Fern. 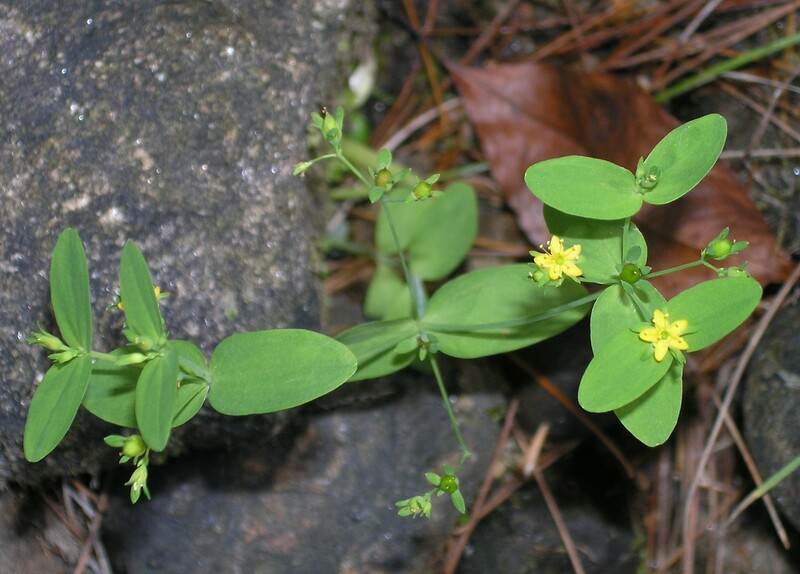 dwarf St. John’s-wort. 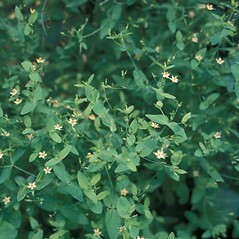 Hypericum mutilum L. var. 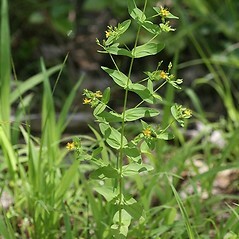 parviflorum (Willd.) Fern. • CT, MA, ME, NH, RI, VT. Shorelines, low fields, wetland edges. 4×11. 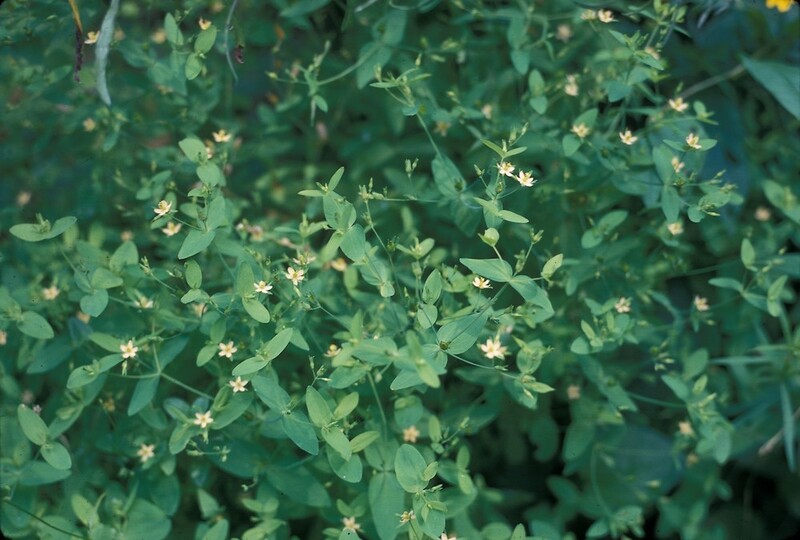 Hypericum canadense × Hypericum mutilum → This rare St. John’s-wort hybrid is known from ME. 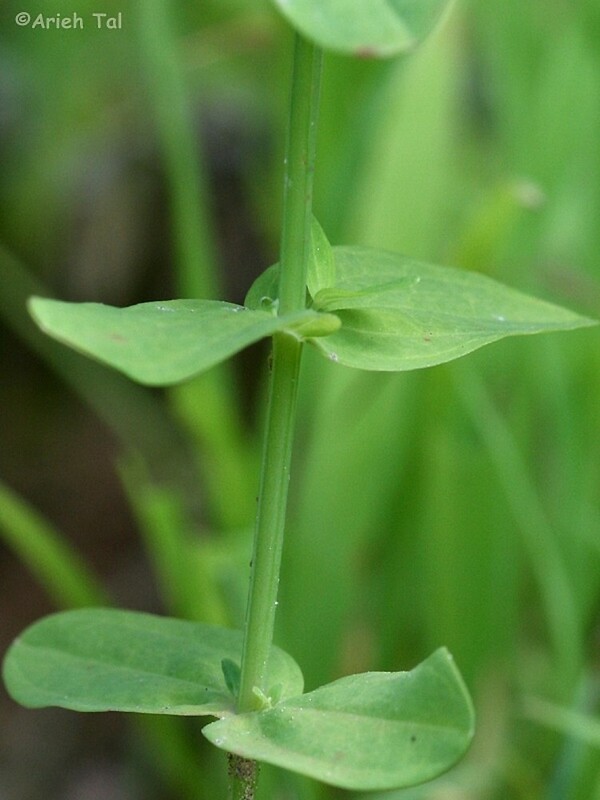 It is similar to H. ×‌dissimulatum (3 ×4) except that the sepals tend to be more pointed at apex (sharply acute vs. merely acute; side by side comparison of specimens is useful here). 10×11. 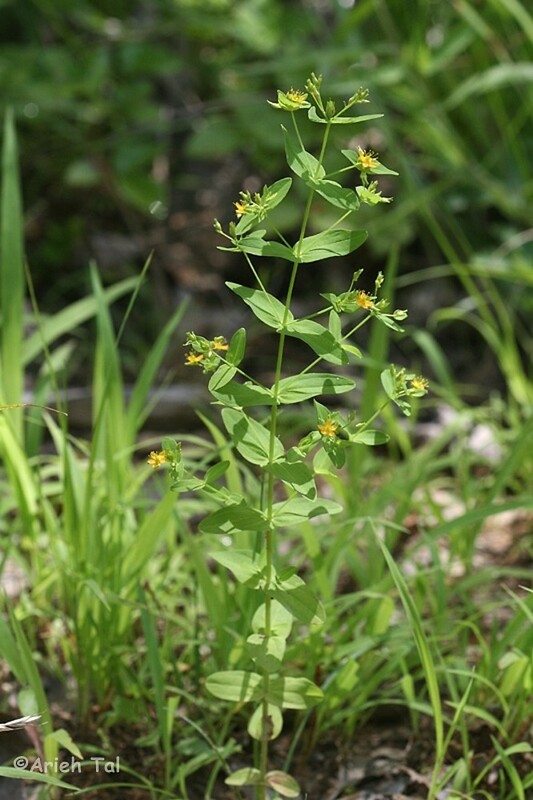 Hypericum majus × Hypericum mutilum → This very rare St. John’s-wort hybrid is known from ME. 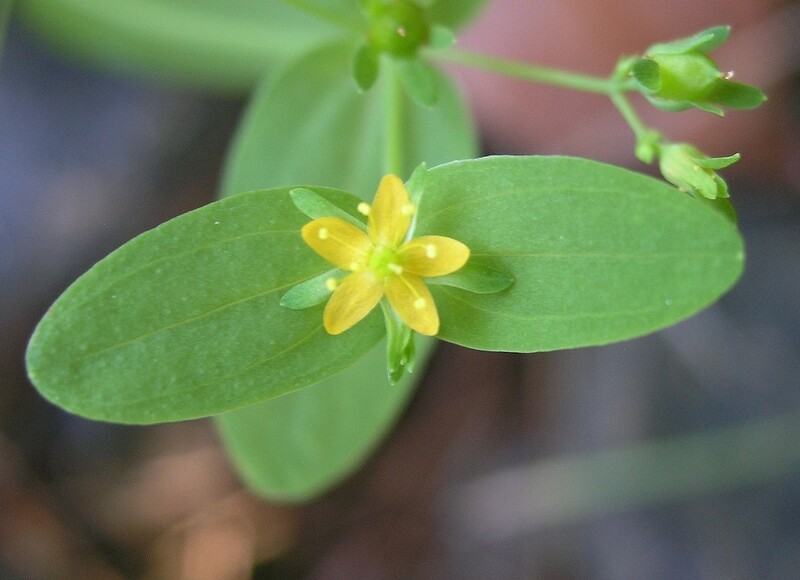 It can be recognized by its intermediate capsule shape, similar to H. ×‌dissimulatum (3 ×4). It differs fromH. 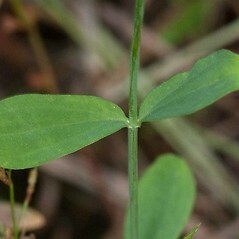 ×‌dissimulatum in that the leaf blades average broader (principal ones 4.8–10.8 mm wide vs. 1.5–10 mm).